SAVING PHOTO MEMORIES FOREVER. FOR ALL OF US. Picture scanning turns into a fast and easy process with the app’s magical photo auto-cropping and color restoration. And that’s just the beginning. 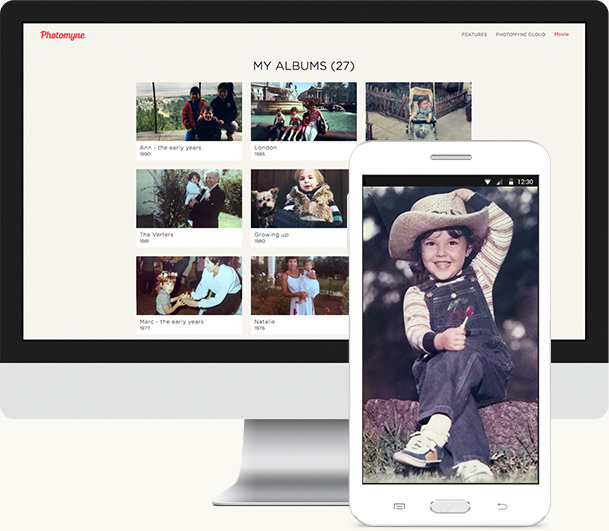 Joining Photomyne gives you an all-inclusive solution for preserving your memories long after they’re scanned. With photo backup and online access, it’s the best DIY option for photo scanning.